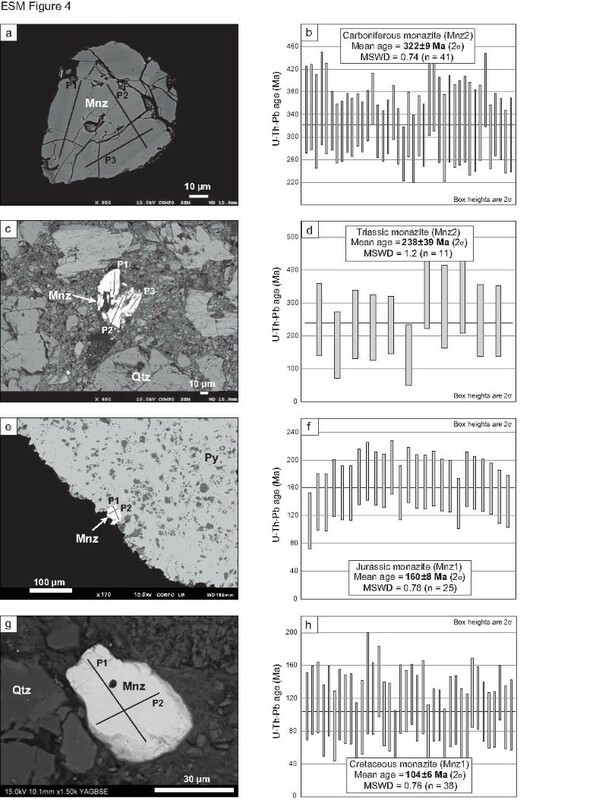 Carboniferous–Permian, Triassic and Jurassic igneous basement rocks around the Erlian Basin in northeast China have been investigated through detailed mineralogical, whole-rock geochemistry, geochronological data and Sm–Nd isotope studies. Carboniferous–Permian biotite granites and volcanic rocks belong to a calc-alkaline association and were emplaced during the Late Carboniferous–Early Permian (313 ± 1–286 ± 2 Ma). These rocks are characterised by positive εNd(t) (3.3–5.3) and fairly young T DM model ages (485–726 Ma), suggesting a dominant derivation from partial melting of earlier emplaced juvenile source rocks. Triassic biotite granites belong to a high-K calc-alkaline association and were emplaced during the Middle Triassic (243 ± 3–233 ± 2 Ma). 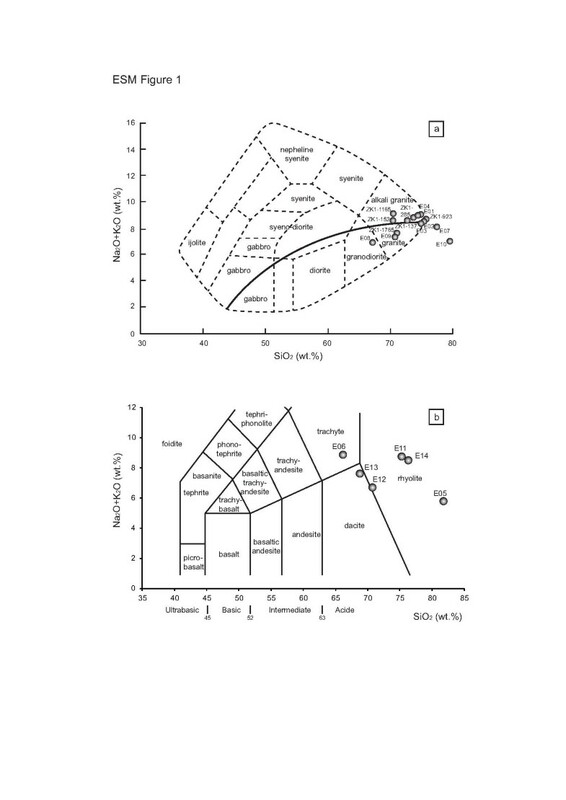 Their negative εNd(t) (−2 to −0.1) and higher T DM model ages (703–893 Ma) suggest a contribution from Precambrian crust during the magma generation processes, leading to a strong enrichment in K and incompatible elements such as Th and U. Highly fractionated magmas crystallised in U-rich biotite (up to 21 ppm U) and two-mica granites. In biotite granite, the major U-bearing minerals are uranothorite and allanite. They are strongly metamict and the major part of their uranium (90 %) has been released from the mineral structure and was available for leaching. 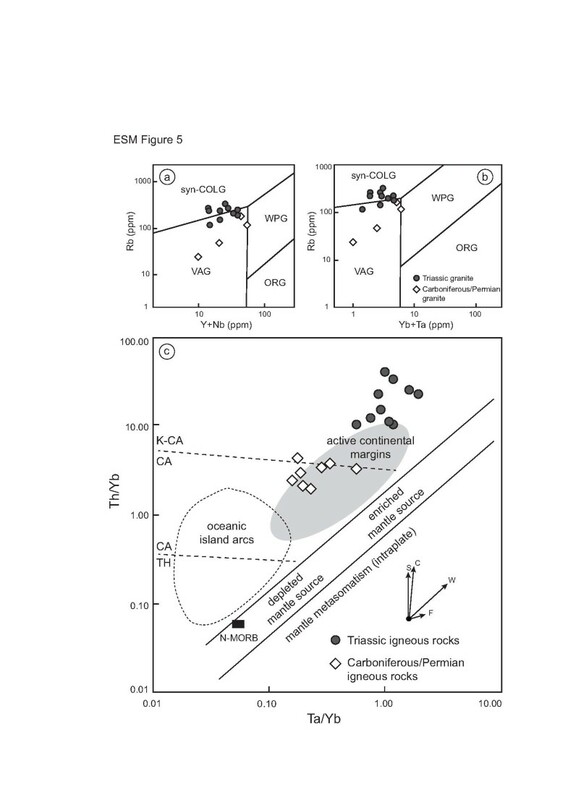 Mass balance calculations show that the Triassic biotite granites may have, at least, liberated ∼14,000 t U/km3 and thus correspond to a major primary uranium source for the U deposits hosted in the Erlian Basin. The online version of this article (doi: 10.1007/s00126-016-0661-0) contains supplementary material, which is available to authorized users. 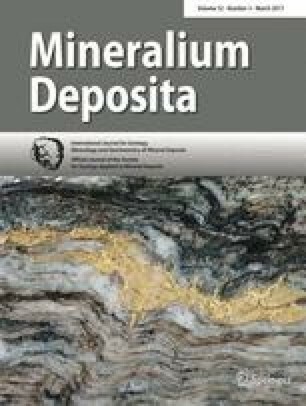 Financial support for this study was provided by AREVA Mines, the East China Institute of Technology in Nanchang, Jiangxi, and the Geological Team No. 208, Bureau of Geology, Chinese National Nuclear Corporation in Baotou, Inner Mongolia. The authors acknowledge colleagues from the East China Institute of Technology for the presentations and scientific discussions that have been organised about the geology of the Erlian Basin, as well as colleagues from the Geological Team No. 208 for their field support and the access to drill cores. The authors are thankful to Menhong from the Geological team No. 208 for the translation during the field mission and geologists from AREVA Mines for the discussions on the geodynamic evolution of eastern Asia. 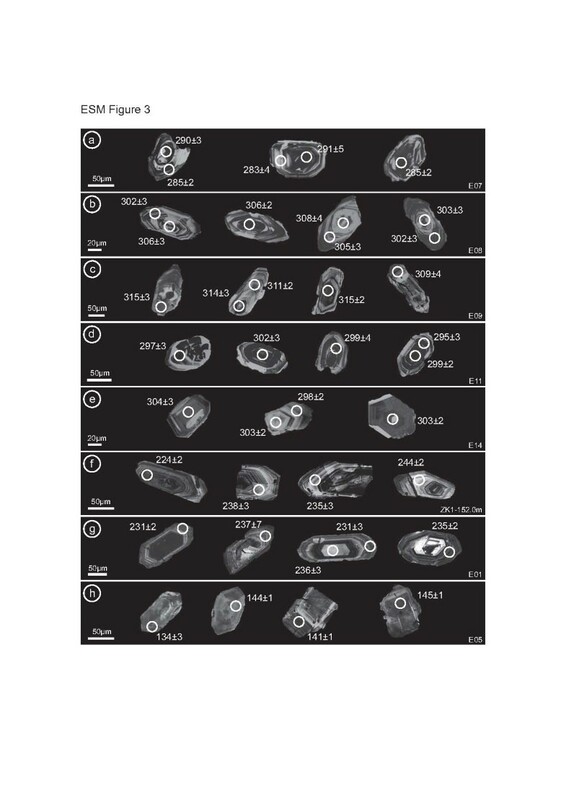 The authors are also indebted to Marc Brouand from AREVA Mines for access to ion probe analysis sessions. Finally, the authors would like to thank both reviewers R.L. 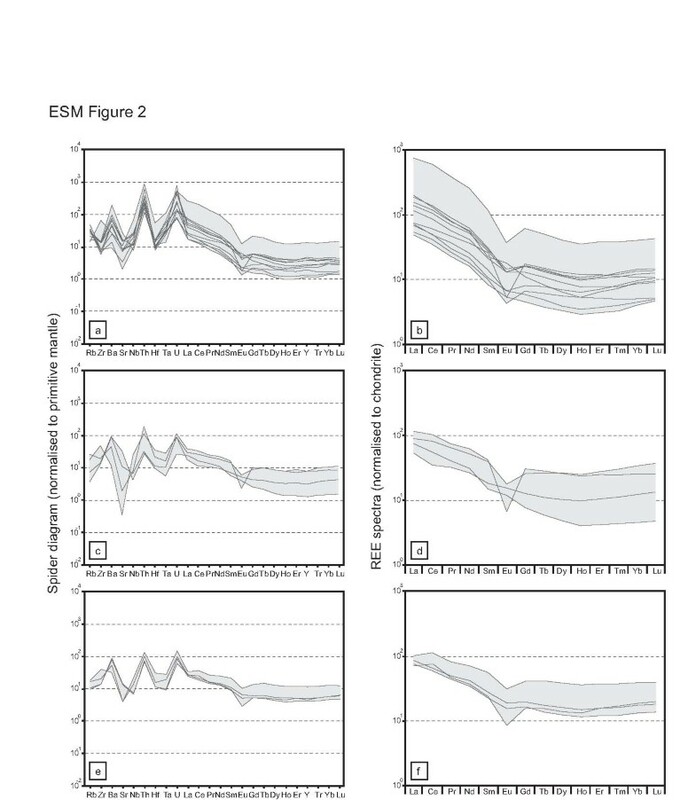 Romer and S. Li for improving this paper.